My goodness, that was somethin' else. Very ambient, and among the last films scored by the late, great Jóhann Jóhannsson. I wouldn't go so far as to say the film is enjoyable, but it is definitely enthralling, engrossing, haunting, and visually stunning. 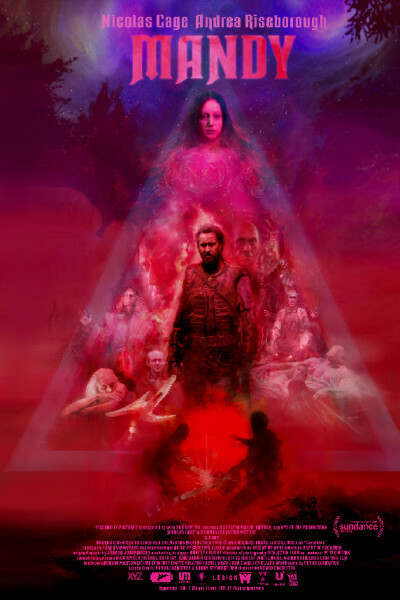 It reminds me a bit of Tom Ford's Nocturnal Animals which, for all its darkness, includes a momentarily thunderous and very satisfying vengeance hunt. But Mandy tops even that, at least in terms of weaponry. 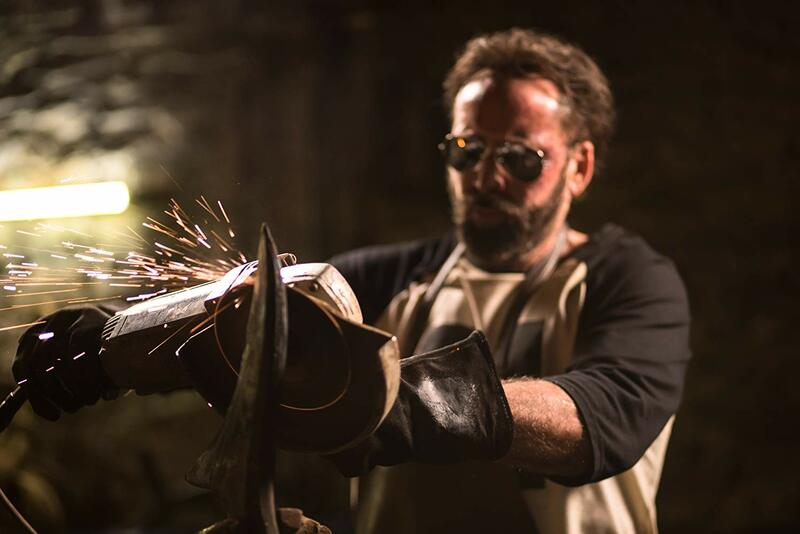 The only thing outdoing Nicolas Cage's hairdo here is his battle axe. It's very Mad Max and mighta been called whupass.